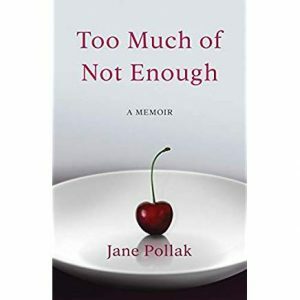 Come join Jane Pollak as she shares her life experiences, and the lessons she learned from them. Raised by a mother who was emotionally unavailable, she grew up believing that love came from performance rather than from being seen, heard, and acknowledged for her true self. In this poignant, instructive memoir, Pollak investigates the roots of misguided love and paints a picture of what it means to live a satisfied life. Jane Pollak graduated from Mount Holyoke College with a BA in studio art and theatre and an MA in art education from Columbia University Teachers College. Her first book, Decorating Eggs: Exquisite Designs with Wax & Dye, was recently republished by Schiffer Publishing. Her second book, Soul Proprietor: 101 Lessons from a Lifestyle Entrepreneur (Crossing Press, 2001), shares what she learned as a home-based business owner who successfully turned her passion into a thriving company. When Pollak’s marriage ended in 2011, she moved back to Manhattan, where she currently resides contentedly single. She has three grown children and three grandchildren.